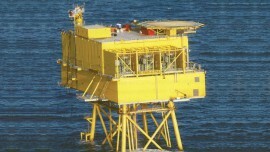 Northern HeliCopter GmbH (NHC) has received an order from Petrofac Ltd. for transport flights/crew changes to the BorWin3 gamma platform. 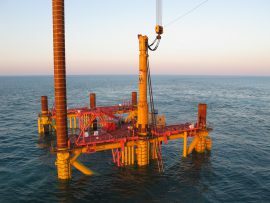 The BorWin gamma topside is currently being prepared for installation onto its jacket foundation in the German North Sea. 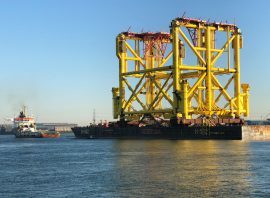 The BorWin gamma topside has completed its journey from Dubai to the installation site in the German North Sea, TenneT reports. 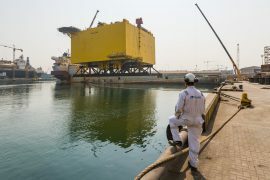 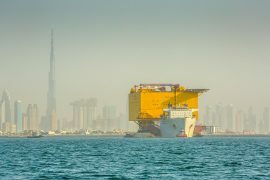 Petrofac has shared photos of the BorWin gamma topside on its way from Dubai to the German North Sea. 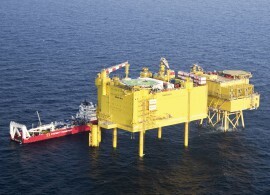 The BorWin gamma topside has started its journey from the Drydocks World – Dubai to the German North Sea. 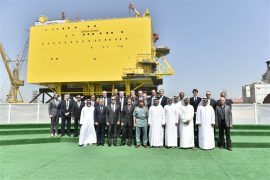 Drydocks World – Dubai has completed the topside for the 900MW BorWin gamma HVDC platform, which will soon sail to its offshore site in the German part of the North Sea, where it is expected to arrive mid-September. 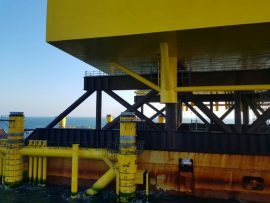 Petrofac has hired SeaRenergy to support the hook-up and commissioning of TenneT’s 900MW BorWin3 HVDC platform (BorWin Gamma), once the topside is installed on top of its foundation already in place at the site off Germany. 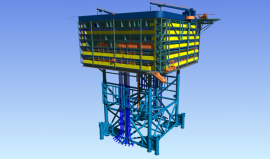 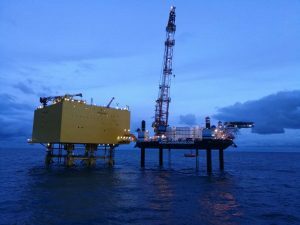 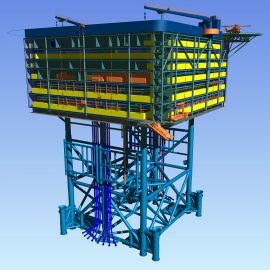 The jacket foundation for the 900MW BorWin3 offshore grid platform has been installed in the North Sea, nearly 130 kilometres off the German coast, Petrofac said. 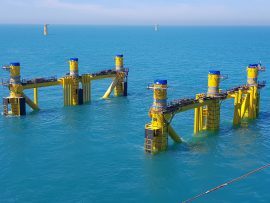 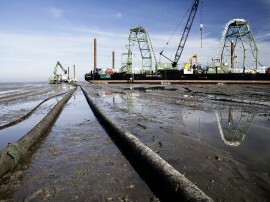 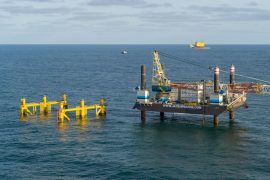 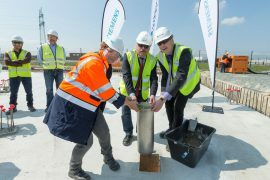 The jacket foundation for TenneT’s 900MW BorWin3 HVDC platform has been installed in the German North Sea. 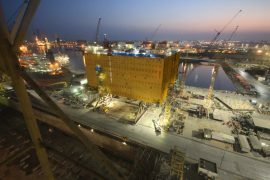 Heerema Fabrication Group (HFG) has shipped out the jacket foundation for TenneT’s 900MW BorWin3 HVDC platform. 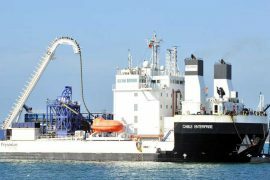 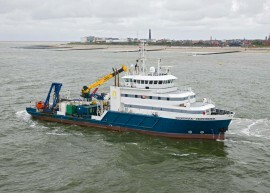 Prysmian’s cable laying vessel Cable Enterprise is getting ready to install the next section of the 130-kilometre subsea cable link which will connect the 900Mw BorWin3 offshore station to the German grid. 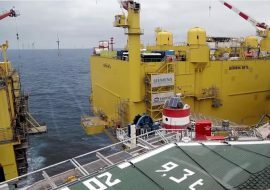 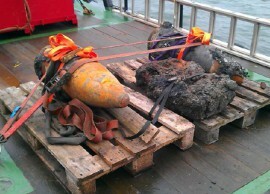 Chinese power cable manufacturer ZTT has contracted SeaRenergy to provide QHSE management & support for the HVAC export cable connection between the BorWin gamma platform and the 497MW EnBW Hohe See wind farm in the German North Sea. 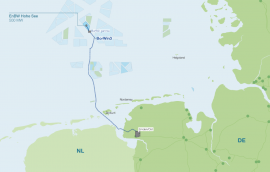 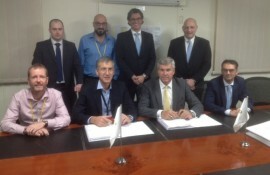 Transmission System Operator TenneT has awarded the Chinese power cables manufacturer ZTT with a contract to supply and construct a 155kV HVAC grid connection between the 497MW EnBW Hohe See offshore wind farm and the 900MW BorWin3 DC grid connection system in the North Sea.